My mother ordered this dress for my niece for my fall wedding. I had been to Davids Bridal and wasnt too happy with the limited selection for junior bridesmaids. The dress that my bridal party wore was just a little too adult for her so we had a bit of a struggle until my mom found this site. 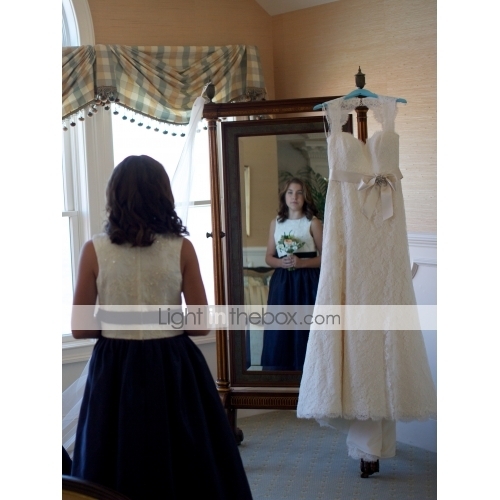 Below you can find attached pictures of the ivory bodice with a navy skirt and navy sash that we ended up choosing.. I have to say that we were very happy with this dress. It was well made and perfect for my niece. She was 12 at the time but she is tall so we struggled to find something that wasnt too mature but fit her appropriately. This dress worked out great. As for the site, we felt that the service was perfectly fine. 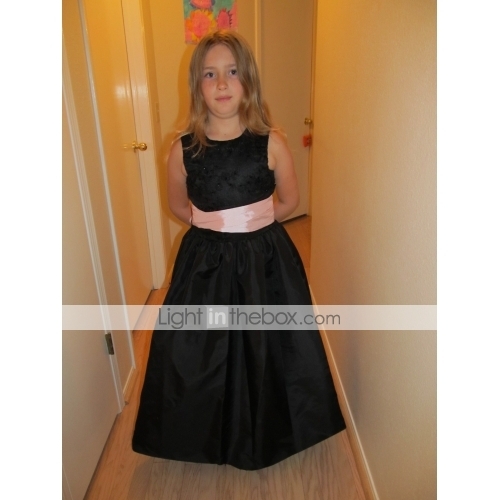 Reasonably priced and no issues with the quality of the dress. My mother did my nieces measurements and she has a background in sewing/tailoring so the dress fit her perfectly. My advice is have your tailor or even your dry cleaner measure you if you are not sure of your measurements. I think that the dress ended up being a slam dunk because it fit so well. My mother ordered this dress for my niece for my fall wedding. I had been to Davids Bridal and wasnt too happy with the limited selection for junior bridesmaids. The dress that my bridal party wore was just a little too adult for her so we had a bit of a struggle until my mom found this site. 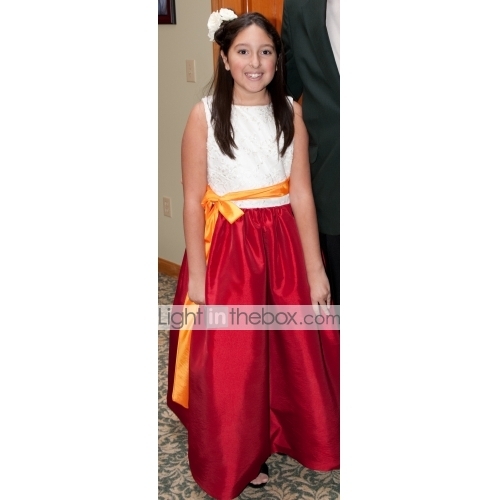 Below you can find attached pictures of the ivory bodice with a navy skirt and navy sash that we ended up choosing.. I have to say that we were very happy with this dress. It was well made and perfect for my niece. She was 12 at the time but she is tall so we struggled to find something that wasnt too mature but fit her appropriately. This dress worked out great. My mother did my nieces measurements and she has a background in sewing/tailoring so the dress fit her perfectly. My advice is have your tailor or even your dry cleaner measure you if you are not sure of your measurements. I think that the dress ended up being a slam dunk because it fit so well. I got this for my 9 year old girl for a wedding. It arrived in good order and fit great on her. She wants to wear it again when we go to the Nutcracker this winter. As with most dresses of this sort, I wish the sash was detachable to make it useful for more occasions. I got this for my 9 year old girl for a wedding. It arrived in good order and fit great on her. She wants to wear it again when we go to the Nutcracker this winter. As with most dresses of this sort, I wish the sash was detachable to make it useful for more occasions. Vestido lindo, óptimo tecido. Ficou lindamente e a menina também adorou! Vestido lindo, óptimo tecido. Ficou lindamente e a menina também adorou! Muito obrigado por ter escrito a sua opinião. Esperamos que esteja satisfeito com o seu pedido e que continue a comprar no nosso site. I love, love , love this dress. 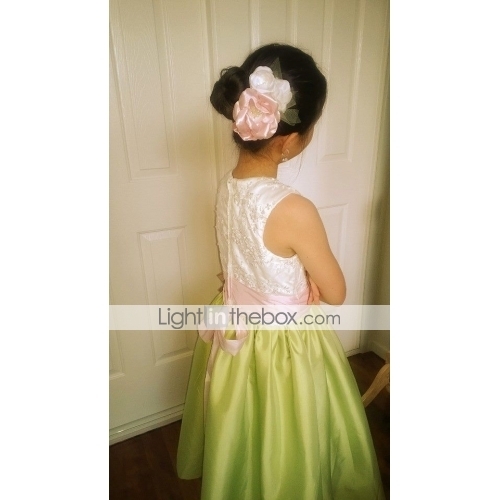 I bought it for my daughter (10 yr) for my wedding and she looked beautiful. I needed the dress fast for the wedding 1 month away and was worried that it wouldnt come in time, but it came with in 12 weeks of the order. Super fast. I was very pleased with the quality and detail work that was put it and would recommend this site to anyone who needs bridal dresses. It was a little big in the arm hole area and even the seamstress who altered my dress was impressed with the dress. Very well made. This is a dress that shell wear for many years. Thank you. I love, love , love this dress. 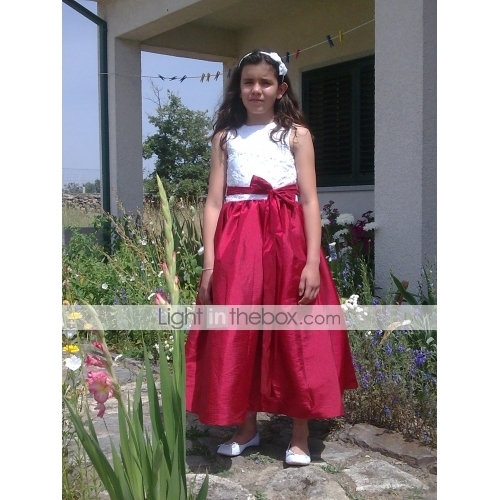 I bought it for my daughter (10 yr) for my wedding and she looked beautiful. I needed the dress fast for the wedding 1 month away and was worried that it wouldnt come in time, but it came with in 12 weeks of the order. Super fast. I was very pleased with the quality and detail work that was put it and would recommend this site to anyone who needs bridal dresses. It was a little big in the arm hole area and even the seamstress who altered my dress was impressed with the dress. Very well made. This is a dress that shell wear for many years. Thank you. Dakujem, saty dosli v poriadku. S kvalitou siat a sposobom balenia a dopravy som bola spokojna. Dakujem, saty dosli v poriadku. S kvalitou siat a sposobom balenia a dopravy som bola spokojna. Vestito come da descrizione, buon materiale ed ottima fattura. Unico problema mi hanno sbagliato il colore del vestito per cui reso ed in attesa di rimborso. Vestito come da descrizione, buon materiale ed ottima fattura. Unico problema mi hanno sbagliato il colore del vestito per cui reso ed in attesa di rimborso. BEautiful dress. it fit my daughter just perfect! got it on time. the top part textile is very very beautiful. The only thing was kind aquard was the ribbon lace that is not separate from the dress, and it fit her above her waist but thank Got my mom was able to fix it without damaging the original style. BEautiful dress. it fit my daughter just perfect! got it on time. the top part textile is very very beautiful. The only thing was kind aquard was the ribbon lace that is not separate from the dress, and it fit her above her waist but thank Got my mom was able to fix it without damaging the original style. Gorgeous dress, and young lady would be pleased to wear this dress. Very well made and nice material, highly recommended. Gorgeous dress, and young lady would be pleased to wear this dress. Very well made and nice material, highly recommended. Beau tissus même si la robe tient un peu chaud a cause de tous les jupons !